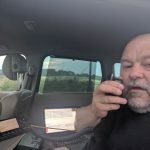 I have always enjoyed operating portable HF as you can put up antenna and work bands not possible at home. This coupled with finding an RF quiet location can make HF portable very enjoyable. 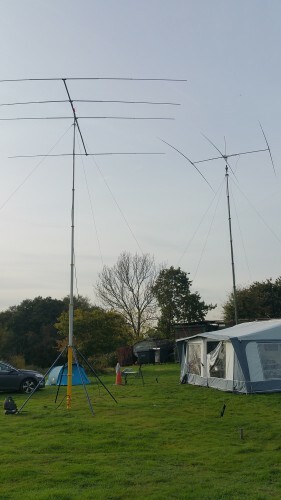 Using a 12m spider beam roach pole, an 80m doublet fed with 300 Ohm ribbon cable and Icom 7100 I parked in a rural country lane surrounded by fields. 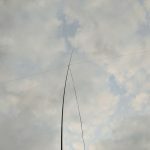 The doublet was cable tied to the roach pole at around 11m, and the pole secured to a farmers fence. 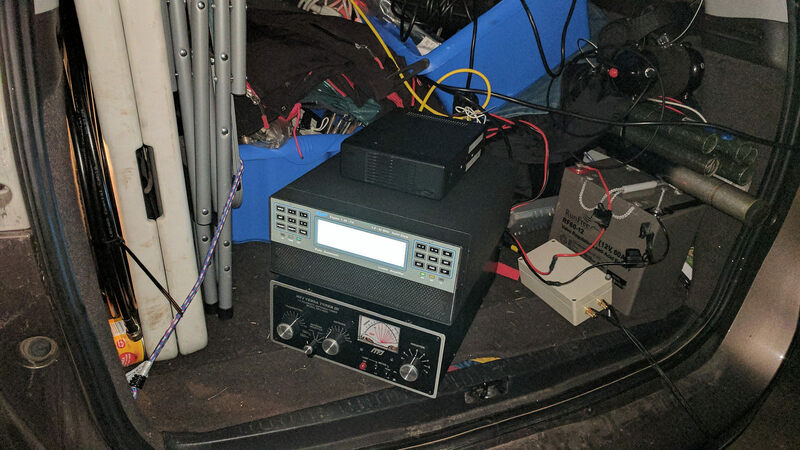 The Icom, Expert 1.3KFA linear and ATU was placed in the boot of the car, and power was provided by an EU20 Honda generator. 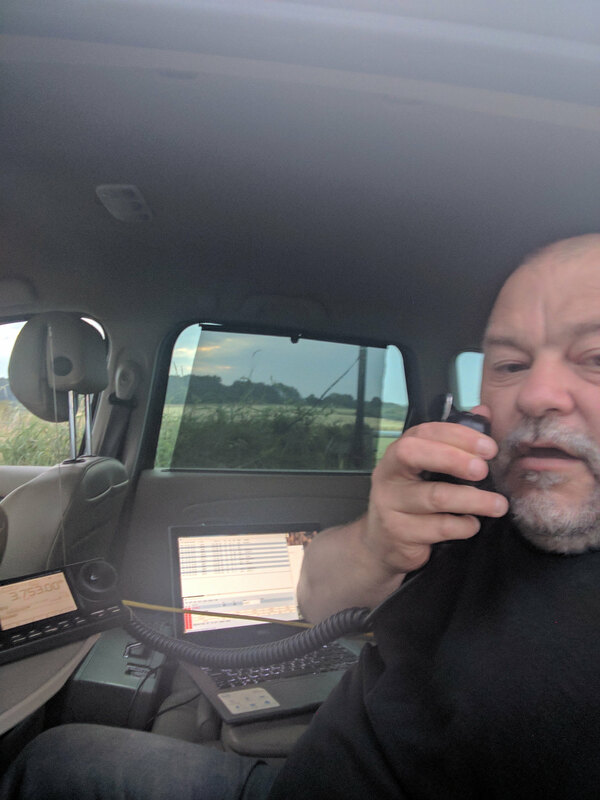 I started operating at 19:26 with the first call in the log G4JXC Bob from Bristol, signals seemed very good with reports usually over s9, sometimes s9+40. At times I had a pile-up, really hard to pick out any calls, I did try and pull out a few QRP stations some running just 3 and 4w. The amplifier definitely helped, but getting a large antenna in the air inverted V means a lot of the RF goes up in the air. 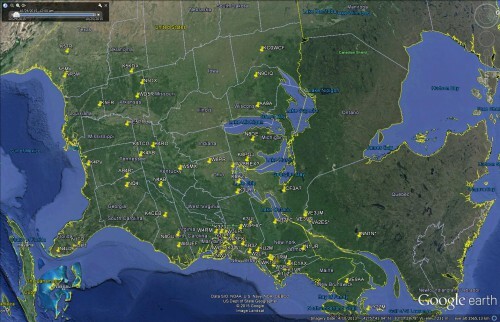 Over the next couple of hours, I worked 57 stations in 10 countries. As darkness descended the skip did lengthen out a little, with stations calling me from Sweden, Germany, Spain and the Netherlands. I was also able to monitor my own signal on my KiwiSDR located some 100 miles away. It was fun to work some stations that had also used my SDR, and also catch up with some people on twitter. A enjoyable was to spend an evening, thanks to everyone who called. Members of the SNB contest group came together to play some radio in the RSGB IOTA contest. 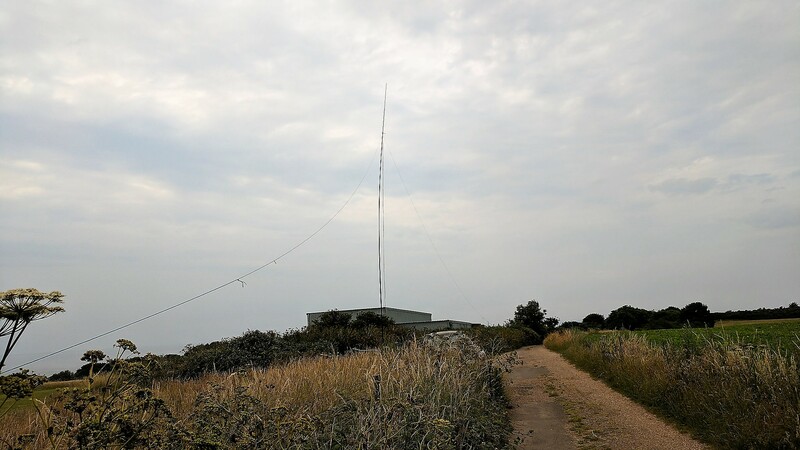 Some stations make the trek to far flung Islands in exotic parts of the world, we opted for the contest site close to Kelvedon Hatch in Essex. 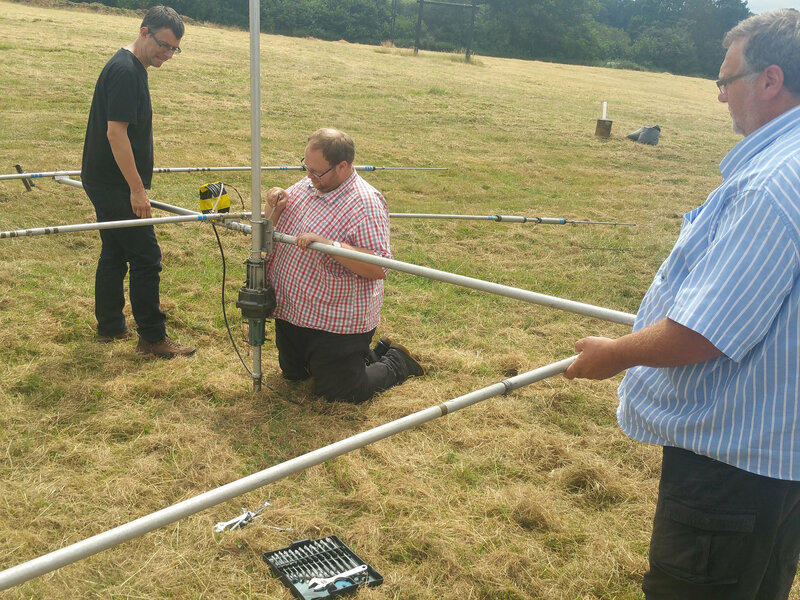 The SNB contest site has the added bonus of a 50m onsite mast, making an ideal platform to hang dipoles. 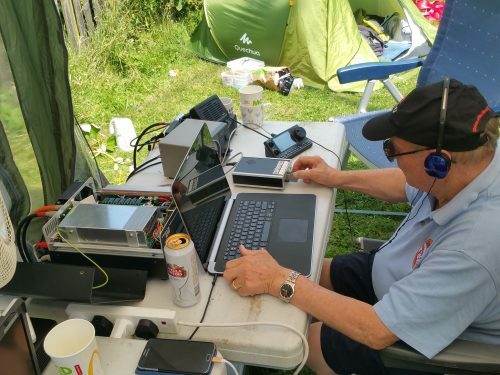 George M1GEO and myself decided to operate our respective calls from the two radio setup, using 3.5, 14, 21 and 28 MHz. George also added his 50/70 MHz beam on the mast, and this provided some interesting contacts using MS and JT65. Two pump up masts provided the following setup. 28 MHz and 50/70 MHz beam. At various times we added some RF power from either the solid state expert 1.3KFA or the hal1200_atlantic amplifier. We had some interaction between the close sited antennas, and at times this dictated the operating modes / times. 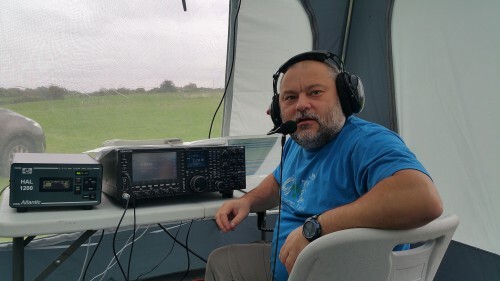 Fred G3SVK joined us as our CW operator, Fred can often be found in the lower pasts of the bands chasing big DX. It was a casual operation, allowing time for sleep, meals and frequent cups of tea. The weather was fantastic, so camping out onsite was very enjoyable. M0TAZ added around 49 DXCC and 350 QSO over the weekend. The highlight for me was AL7KC Alaska on 14 MHz and VP8LP Falklands on 21 MHz. Once again members of the LEFARS came together at the Rainbow and Dover PH near Harlow to play some radio. 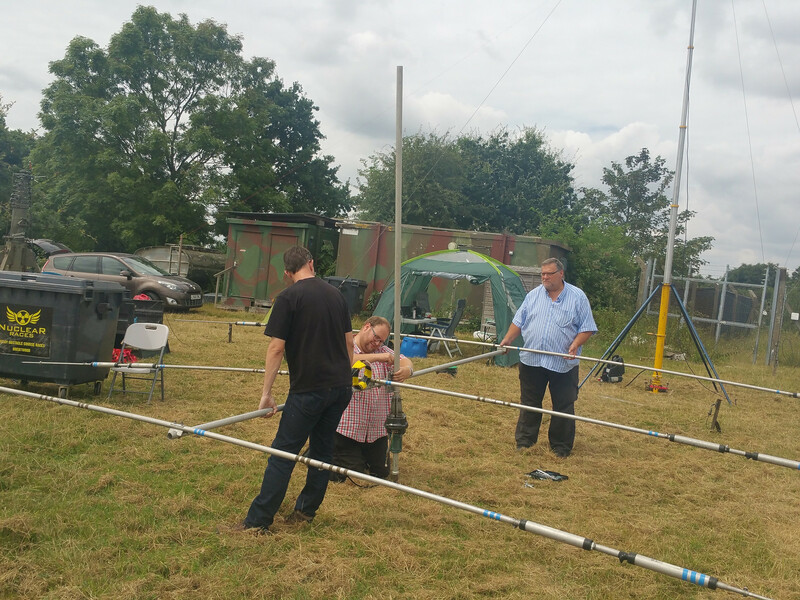 George M1GEO and Chris G8OCV had recently serviced a tri band beam from Cushcraft A-3S donated by Bill G0BOF to the SNB group. 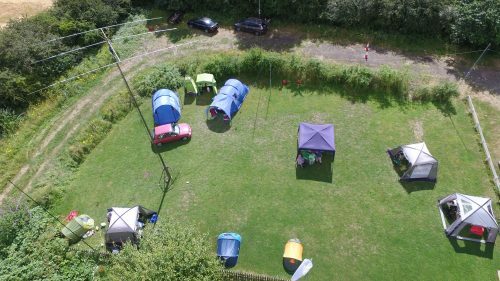 The event this weekend was its first field day outing, and it performed very well. 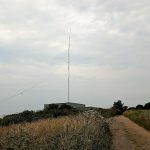 The antenna worked as a 3e trapped beam on 28, 21 and 14 MHz bands. The boom length of the antenna is just 4.17m and the longest element length is 8.45m. You can download a manual for the antenna here. 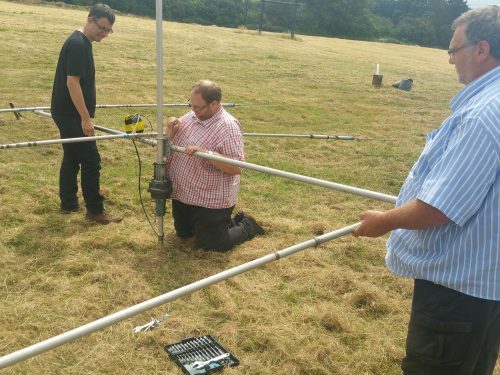 The 3e beam was supported on the 12m SCAM pump us mast, as was the 3.5MHz dipole. 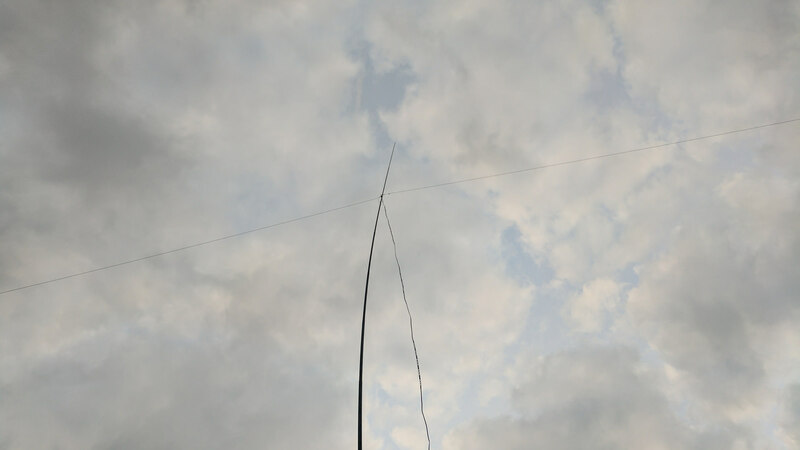 We also operated on 50 MHz and 70 MHz using a slim Jim and dipole. 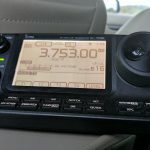 7 MHz was also in use giving John the chance to try out his newly acquired Icom 7300. 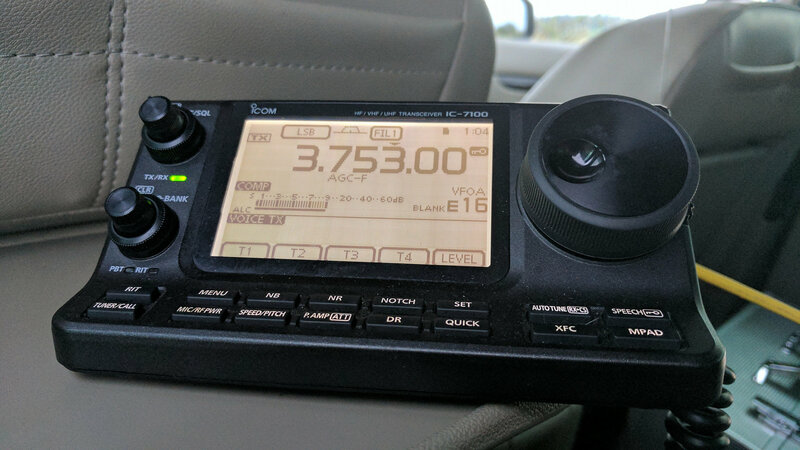 The new Icom is proving very popular, with 3 club members recently investing in this new mode. Over the weekend we made close on 300 QSO, and combination of CW, Phone and Data modes. Here you can see Fred G3SVK working a few on 14 MHz CW. Whilst looking for digital decoders I read a review on the software package Sorcerer. 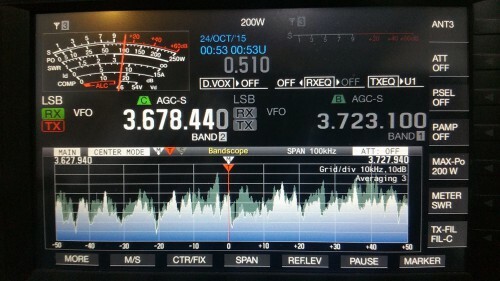 The software can be used with any HF receiver and allow you to decode a multitude of digital modes. You will find the standard FAX, CW, PSK and olivia decoders, but also the Nato standard Stanag. 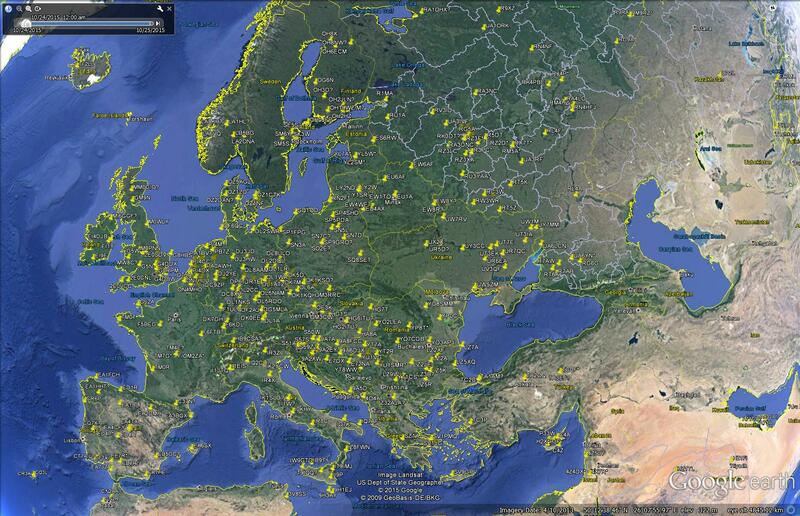 Whilst testing the software I centered the receiver on 127.5 Khz and decoded the European EFR data signal. 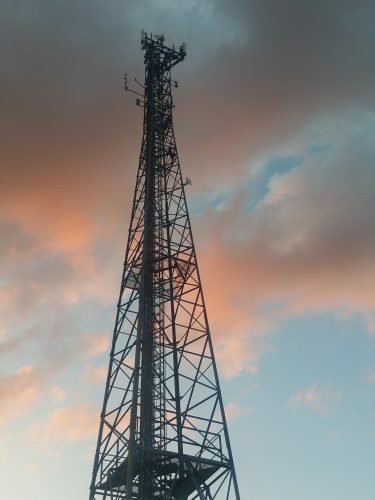 The European EFR system is described on their website, and uses 3 x 100 KW transmitters at Mainflingen 129.1 Khz, Burg 139 Khz and Lakihegy 135.6 Khz. 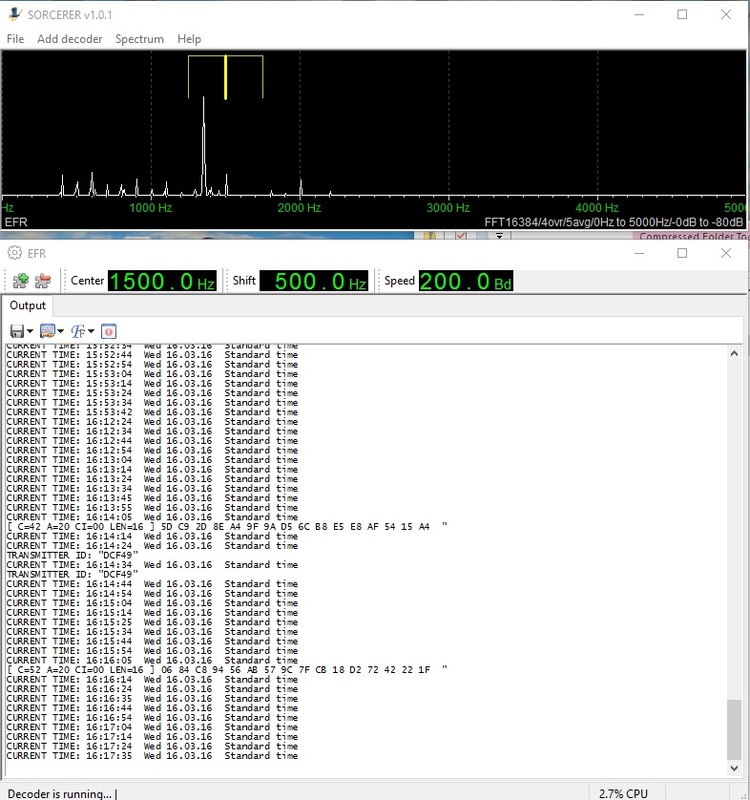 Your dial frequency may vary a little depending on the location of the signals in your passband. The EFR signal sounds like this. You can download the free software. To decode EFR, run the program and select “Add Decoder” select EFR. A setup guide is provided by the UXDF group. Once received the decoded signal and Sorcerer software should look like this. The development of Demand Side Management (DSM) and the history of Radio Ripple control and load management is also explained here. The decoded text shows the time, date and hex address, and the message is transmitted every 10 seconds. The system is described in some detail in this PDF file. The system can be used to remote control street lights and power load management. The decoding software Sorcerer would seem to have been developed by Avonlea Services, although the web provides no trace of this company today. I cant find any trace of the described website in the help file and therefore cant credit anyone with the software. I have hosted the software for free download on my site, although if you are the author please get in touch. Adventures of a broadband amplifier. Some radios are equipped with a 0dBm (1mW) output that can be used to drive an amplifier. The advantage of this output is it usually works over the entire transceiver range. 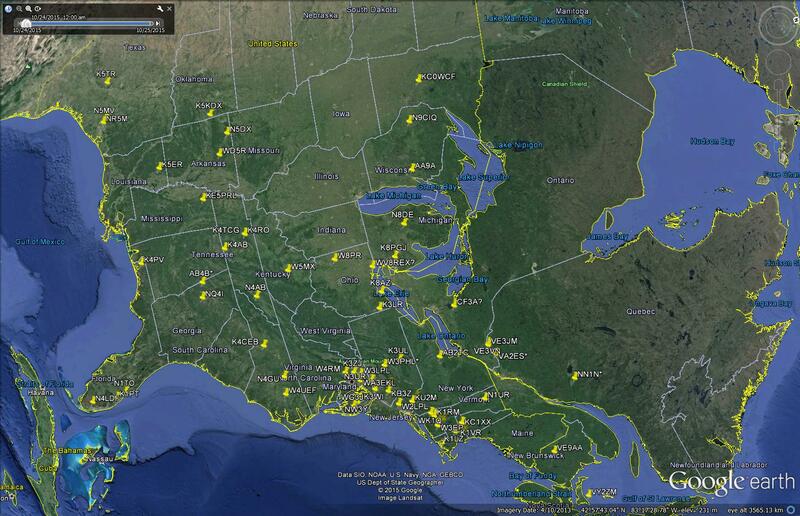 So you can often obtain 1mw from 10 Khz to 60 MHz. I recently read an article in Radcom from Dave Pick G3YXM and he had purchased an amplifier from ebay. 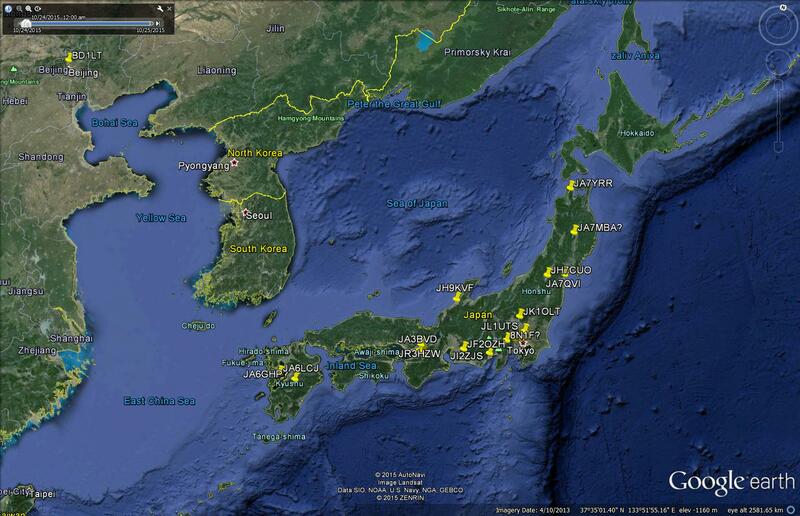 Dave confirmed it was this model with an operating frequency range from 1 to 500 MHz. 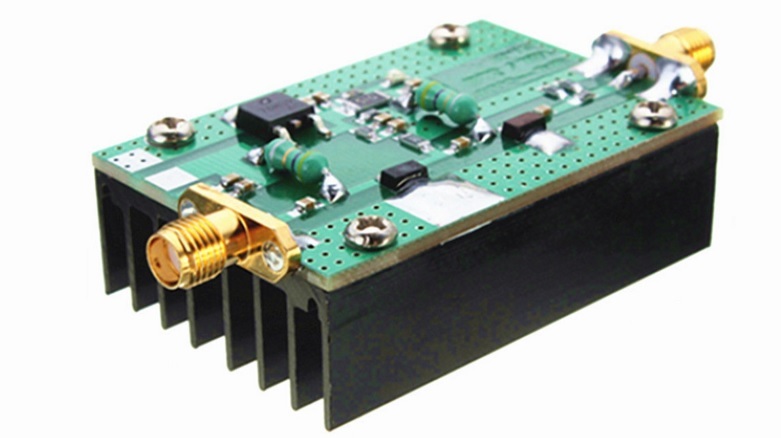 Like this one using the search term ” 1MHz – 500MHZ New HF FM VHF UHF RF Power Amplifier For Ham Radio + Heatsink”. If you wanted to use this below 1 MHz that’s possible but you will need to swap the inductors for larger values. Tests without any changes showed 1mW in @ 1.9 Mhz = 1.6w out. The power out seems to drop to 100 mw below about 500 Khz. I also tested the amplifier at 144 Mhz and the o/p was around 1w. Hopefully with a few changes this will allow me to run a small amount of power on 472 Khz WSPR. 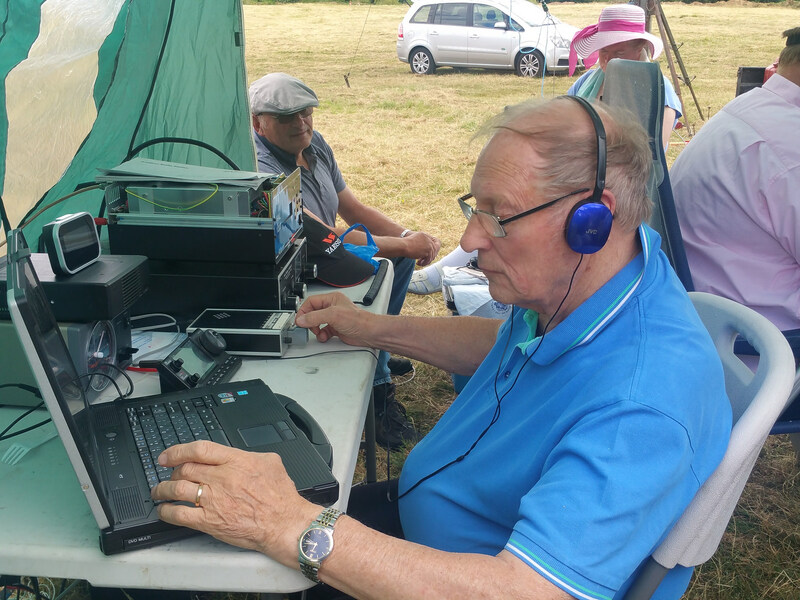 This weekend saw a casual entry into the CQ WW SSB contest, taking part with George M1GEO, Dave M0YOL, Dave G7UVW and Chris G8OCV. I used my TS990, 4e homebrew beam on 21 MHz and HAL 1200 solid state amplifier delivering 400w. 28 MHz was a vertical @ 12m and 1.9, 3.5 and 7 MHz was a doublet antenna at 25m. We set up on Friday afternoon, meaning we was ready to play radio for the 1AM start on Saturday morning. The evening provided good conditions on 7 and 3.5 MHz, and through the day 21 and 28 MHz remained open. Power was provided by 2x 2KW EU20 a silent run generators. Thankfully Dave M0YOL allowed us to use his caravan awning, this provided welcome relief from the rain on Saturday. We complete some operating on Saturday and Sunday, closing the station just after 3PM. This allowed us to pack down and head home before it got dark. Over the weekend I managed to work 551 QSO in 79 countries. The 4e beam on 21 MHz worked really well, i’ve used this for a few contests now and always been very pleased with its performance. A blog on its construction can be found here. All together a very enjoyable weekend, with good band conditions.